I am super excited to share with you my latest DIY project, a growth chart ruler! I have been wanting to make one forever. I can't believe it took me this long! In fact I had wood stashed in my garage for years... it is actually one piece of a bi-fold door that I kept from when we built our house over 10 years ago! Talk about hoarding, I know right!?! A friend from work (hey Katie!) had asked me if I could cut out some numbers for her to create a growth chart ruler on my silhouette. Of course I said yes, but at the time I had way too much other stuff going on. Fast forward a couple of months and finally I had sometime this past week to work on it. So since I was making a template for her, I thought why not make one for myself. Finally I could check it off my to do list! There are many ways to make these growth chart rulers but I wanted mine to last forever as a family keepsake and treasure, not sure how vinyl was going to hold up over the years and that is why I chose to do it like I did. I am SO happy with how it turned out and how simple it was to make. The hardest part was being patient and waiting for things to dry! For this tutorial I thought I would try doing things a little differently. Rather than having tons of pictures, I decided to create a little video! 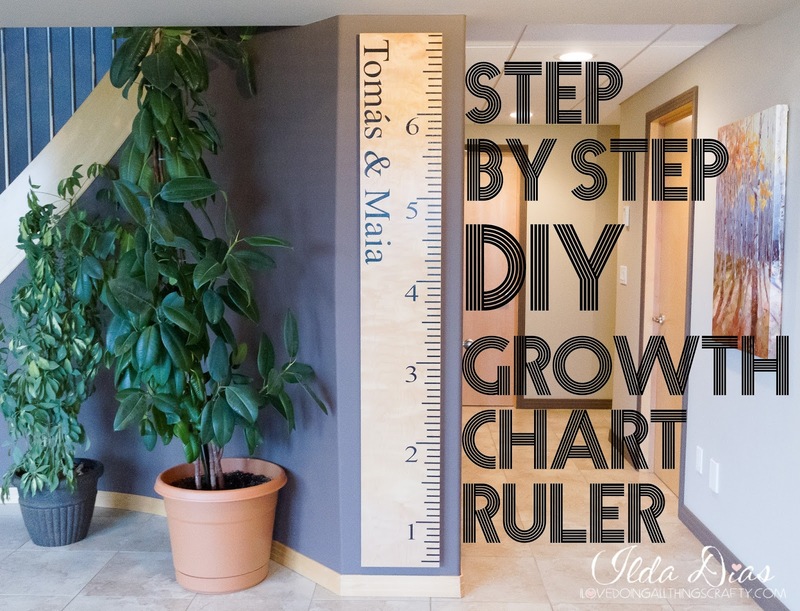 Hope you find this step by step instructional video helpful on creating your own growth chart. I used the paint, vinyl, paint, peel technique all the time (PVPP) and wanted to show you exactly how it works. I have to apologize in advance as you may need to pause the video as it is jammed packed with great tips and I didn't want the video to be super long! So with out further adieu, hope enjoy my first ever You Tube video... and as they say all the time on You Tube "please give me a thumbs up if you liked my video and leave me a comment"! PS. For those of you wondering why Modpodge? Well I had lots of it around, and it is the perfect top coat sealer. Plus it gave the wood a natural look that I was going for!